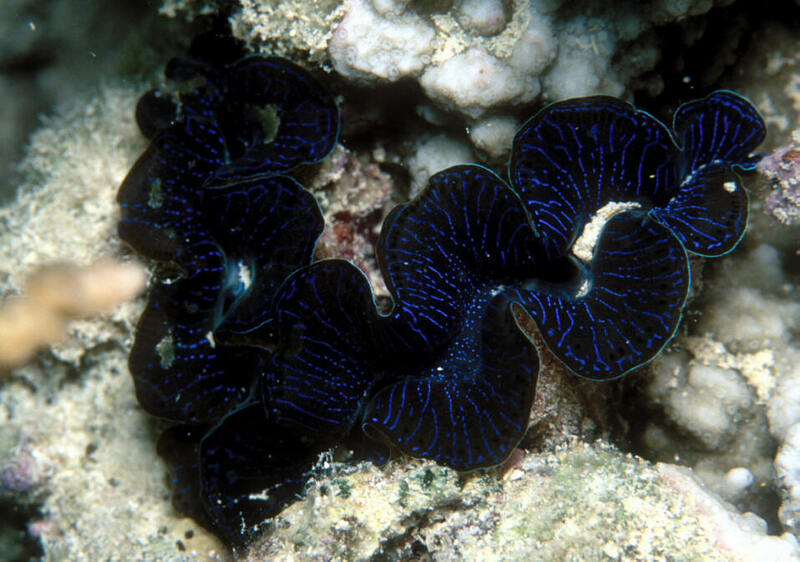 Hippopus hippopus (Linnaeus 1758), the China Clam. Malay Peninsula to Australia, out to Micronesia and Tonga. Found in shallows on reef flats and patch reefs. To sixteen inches shell width. No large opening at the shell base. Brownish mantle with many fine white lines of its surface. This one in captivity. 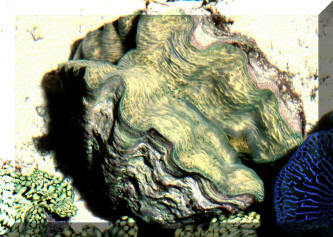 Tridacna crocea Lamarck 1819, the Crocus Giant or Burrowing Clam. Malay Peninsula to the GBR; Philippines, Guam, Fiji. Distinguished by having about six rounded ribs highly adorned with fluted scales. Small species; to about six inches across. Filter feeder that also utilizes photosynthates. One down in Wakatobi, S. Sulawesi, Indo. 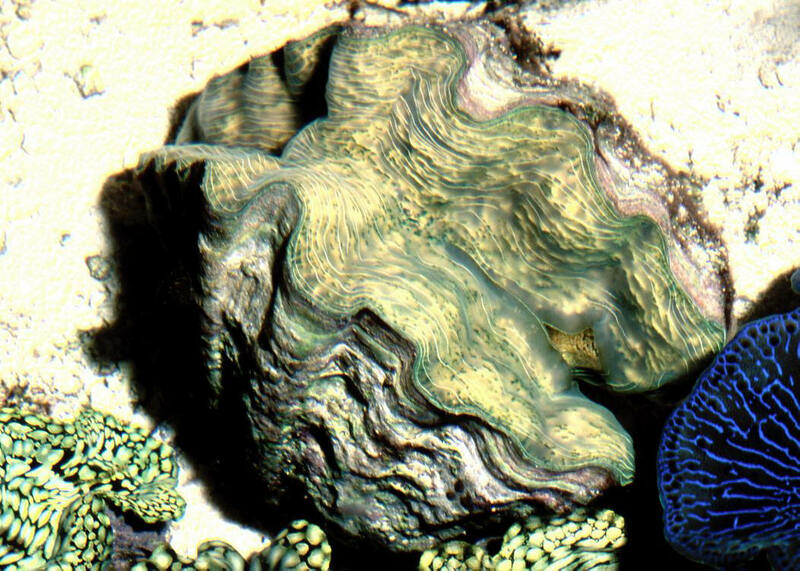 Tridacna crocea Lamarck 1819, the Crocus Giant or Burrowing Clam. Malay Peninsula to the GBR; Philippines, Guam, Fiji. Distinguished by having about six rounded ribs highly adorned with fluted scales. Small species; to about six inches across. Filter feeder that also utilizes photosynthates. A couple in Queensland, Australia's Great Barrier Reef. Octopus cyanea, Gray 1929, the Common Reef Octopus. Indo-Pacific; Red Sea to Hawai'i. Common reef species. One out in Fiji.